This is the most comprehensive guide to Seedbox online. In this expert-written Article, you’ll learn everything you need to know about seedbox. If you are new to this, the goal of this explanation is to make you completely familiar with Seedbox and making it easy for you to use your seedbox to its best potential. We will be discussing the below topics in this article. Do you need a seedbox? Transfer file from seedbox ? Seedbox in its most basic explanation would be a server that leeches and seeds torrents continuously. A server is a virtual computer which serves your purpose online, and in this case, serves the purpose of seeding hence it is called a seedbox. What are different types of seedboxes? How do you Transfer files from seedbox? And what are the safe methods to do it? Streaming directly from seedbox without downloading. FTP runs on the port 22 or FTPS to securely encrypt the transmission of files between seedbox and your device. Though this is more of a personal decision below points will give you a better clarity whether you need a seedbox and make an educated guess on buying a seedbox or not. Safely torrent: In recent years a lot of ISP’s under the pressure of agencies like DCMA and their European and Asian counterparts have resulted in a lot of users who use torrent getting like letters and fines etc. If you have ever got one of these receipts of think you might get flagged soon, the seedbox is a secure way to torrent without leaving any torrenting footprint with your ISP. Online Media Server: Most of the seedboxes these days provides great space and speed up to 1 GBPS speeds. These are ideal for keeping your media stored there and as most of the seedbox providers, today offer Plex, Embry.Such Media Center applications are an excellent way to stream your content and not fill up your PC/laptop HDD, and you can stream from multiple devices. What are the different types of seedbox? Dedicated Seedbox: A dedicated seedbox is a dedicated server on which your seedbox is setup. 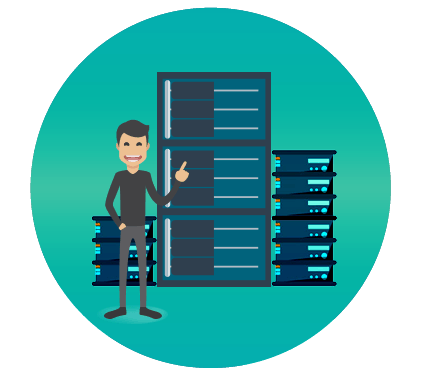 Having a dedicated server ensures that no other user will be sharing resources with you on the particular server, based on which provider you get you might also get root access. Though this setup is ideal regarding usage, it is rather expensive, and if you are new to seedboxes, you won’t be able to utilize it fully. VPS seedbox: VPS seedbox is a virtual private server on which your seedbox is set up. 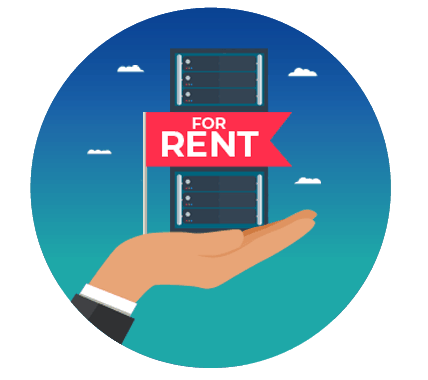 In VPS though you are getting your private environment on the server you get aa slice of the resources of the server in a private environment. You might also get root access in these environments; these are suitable for intermediate users who know their way around with ssh. Shared seedbox: This is the most recommended setup if you are new users. 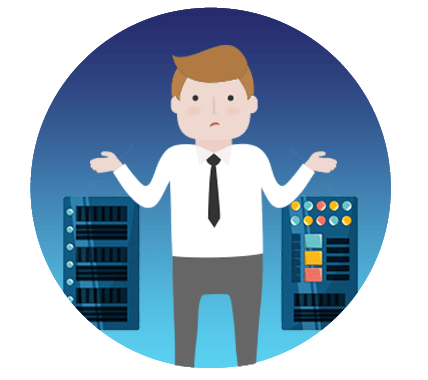 It is the optimum setup if you are a casual to an average user, In this configuration, multiple users account set up on the server, so every user has to access the entire resource and are allocated separate HDD for use. All software and applications come preinstalled with the panel and are incredibly easy to get started. Seedbox is easily accessed from any devices which support a browser like chrome, safari, firefox, etc. Hence it can be used from any device/OS which supports a browser. 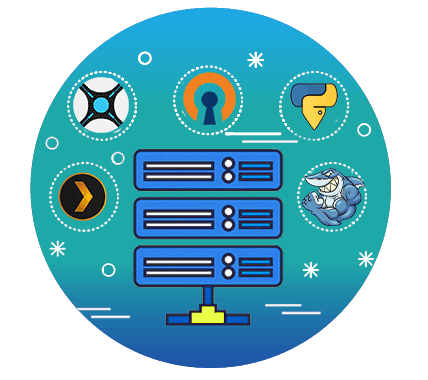 Seedbox is a web application hence all the torrenting activity happens on the cloud server, and there is no torrenting footprint on your device that your ISP can see or find out. For Android devices there is an app called Transdrone through which you can control your seedbox from any Android device, the app is free, and most seedbox providers provide configuration for it. 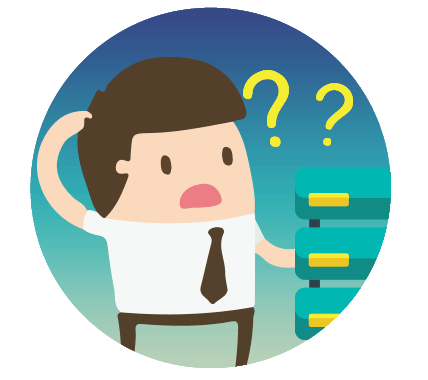 FTP Tools: For Transferring data from seedbox to your device you can use any FTP tool, like FileZilla, CuteFTP, WinSCP, etc. On Linux, you can use advanced tools like LFTP. On premium seedboxes, further sync tools like bit sync and syncthing are provided which makes the process much simpler. Most seedbox providers these days also make it super easy to configure Plex/Emby on your seedbox. 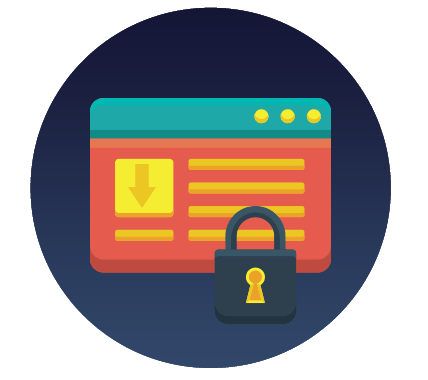 HTTPS web access: All seedbox providers provide easy access to your downloads folders from the browser, you can further use tools like IDM to speed up downloads. 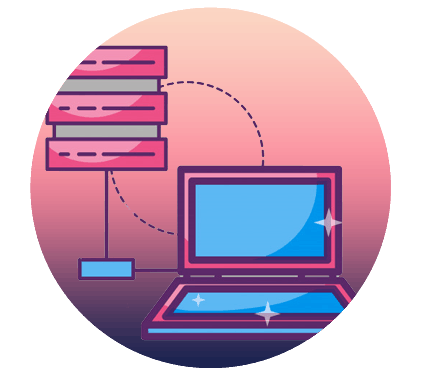 All seedbox providers offer secure protocols like FTP(File Transfer Protocol ), FTPS ( File Transfer Protocol Secure ), SFTP ( Secure File Transfer Protocol ). All of these protocols are secure other than direct FTP but all these protocols are non-peering protocols so are not monitored by any ISP. We recommend using FTPS or SFTP protocols to be secure as the data is encrypted. Tools like Btsync etc. 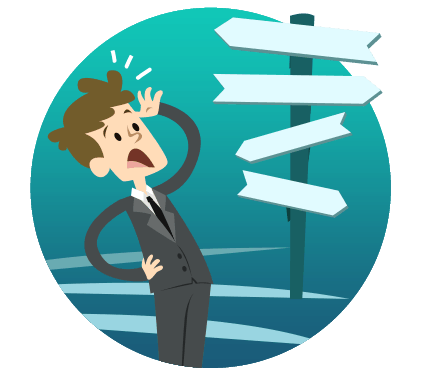 have their encryption which ensures that whatever you transfer from your seedbox is not visible to your ISP. How to build ratio on private tracker with seedbox? Try to get new torrents and keep them seeding on your seedbox. Try to download new free-leeches which will give you a high ratio boost initially. Don’t download large megapacks initially which can hurt your ratio. Find any content that you have and is not available on the tracker and upload it. Cross-seeding is an excellent way to build ratio. We have an advanced tutorial on crosseeding. Check the seeder to leecher number of an individual torrent before downloading, a torrent with few seeder and a large number of leechers is optimum to build ratio. Use Autodlirssi, to automate the download of new torrents; it is an advanced way to make ratio so use it cautiously. Try to ignore zero leech torrents initially once you have enough ratio you can go for them for long-term seeding for such torrents. Get a seedbox with a minimum of 1 GBPS speed. There are many automation tools which can help you manage your content on your seedbox, These applications you can use in conjunction with your web torrent application like rutorrent. Below is a list of all major application that can help you with this. Plex request : Can control various apps to get your plex library updated automatically. People are concerned about their privacy online while they are busy downloading torrents. They should be, because of the huge corporations monitoring peer to peer traffic and tracking the internet activity of yours everyday. A seedbox, when combined with the right set of applications can provide a solution for this. You are now wondering, what exactly is a Seedbox. So let’s get right into it. 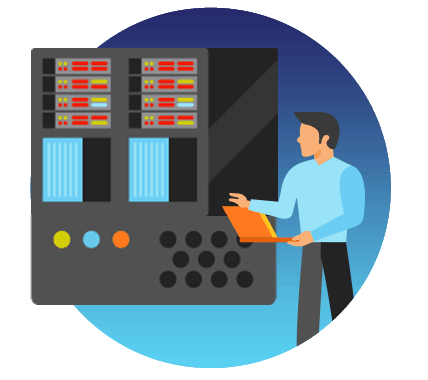 A seedbox is a remote server at a high-speed data center having a public IP address which is used to download and upload files safely using torrents at extremely high speeds. The speeds range from 100 Mbps or 8MB/s to 10Gbps or 1250 MB/s. People who have access to this Seedbox can download these files to their own Personal Computers anonymously, i.e. without getting tracked. In other words, you get a share of a computer which has a super fast internet connection. This computer is designed to download and upload torrents. There are a lot of benefits of downloading torrents through a seedbox. This article will cover up why you need a seedbox, why is it necessary of have one and much more. How to use a Seedbox? Each seedbox consist of one or more torrent clients connected to a web based user interface that you log in via any web browser in order to control your seedbox remotely. In this interface, you will be allowed to load torrent files or upload links or URLs and once they are loaded, they will start downloading immediately at a very high speed. Afterwards, when the torrent has been downloaded successfully, the interface will seed the torrent, remotely with no tracks to local Desktop IP of the Seedbox User. Once the torrent has been downloaded on the Seedbox, it has been hosted there for you to download it whenever you wish. In order to do so, you need to use a FTP or SFTP connection to the Seedbox using an FTP Client (Filezilla is recommended). Some Seedbox providers, however, also provide an HTTP based file browser interface that allows you to download the torrent file through your Web Browser. Either way, this will prevent any torrent traffic from coming from your internet connection at your home as you are using a remote Desktop to download the files and then using a FTP client to download the files. In other words, no one will get to know that you are downloading the torrent file as it is being downloaded through a FTP/HTTP connection. By now, you must have understood the use of a Seedbox. Therefore, let’s get into the features of a Seedbox. Seedboxes allow you to download at amazing speeds. Seedboxes are inside data centers that have incredible connections to the world of internet. You can find seedboxes with connections ranging from 10 Mbps to 1Gbps. The 1 Gbps connection is so incredibly fast that a normal Hard Disk Drive cannot be used. In this case, an SSD is used to achieve those fast speeds. You can easily download a full HD movie in around 2 minutes, or an entire OS under 40 seconds. You can also download an entire TV Season under a minute! Impressive. Isn’t it? Another use of Seedboxes is the ability to download the files at greater speeds. Some internet service providers provide greater speeds on services like Google Drive. People can simply upload the file to Google Drive from the seedbox and enjoy the fast speeds. Always remember, that at the end you always need to download the file. Therefore, if you have a 2 Mbps connection, it will download at 2 Mbps only and not at 1 Gbps. Seedboxes are remotely hosted and therefore you do no need to worry about getting letters ordering you to stop the illegal torrent download. This is because you are not using the BitTorrent protocol that is monitored from the IP Address of your internet connection. This makes much difficult for you to be tracked or targeted. Along with seedbox, these providers also provide VPN services to maximize your level of staying anonymous. With a seedbox, the ratio is pretty simple. A seedbox comes with a large hard drive which is constantly on and you need to download using a private tracker. After downloading, you need to leave the file on the seedbox uploading. Therefore, it takes no effort from your side as it maintains the ratio on the site automatically. You don’t need to worry about your upload traffic at home as well as everything is done remotely. Therefore, if you are worried about maintaining the ratio of the private torrent trackers, a seedbox is the way to go! Hopefully you got to know about seedboxes and how they work. Thanks for reading this article. How to prevent over seeding from your seedbox.